Music in the Morning: A marvelous start to the day. Finally got out to a “Music in the Morning” concert yesterday. Have been home nursing a very painful knee for weeks. Hurrah! I made it! it is my favorite music series and I always purchase season’s tickets. I love the intimacy of their music concerts. I’m a morning person — it’s a great combination. We, in Vancouver, are truly blessed to have this splendid musical morning opportunity. Colin Carr, noted cellist, performed. The program consisted of two of six Cello Suites, attributed to Johann Sebastian Bach, Suite #1 and #6. I say “attributed” because it is speculated that Anna Magdalena, Bach’s second wife, may have actually been the composer of this music, but I’ll leave it to true musicologists to argue and figure that out. It does, however, add to the mystery. Not much is known about this particular music, but Carr believes it may have been composed around 1730, the same time his cello was made. 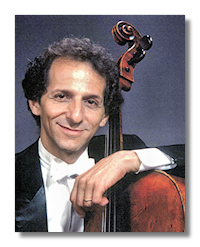 Colin Carr is a world-class cellist, and has appeared throughout the world as a soloist, chamber musician, recording artist, and teacher. He did not let us down yesterday. I was thrilled on this, my first morning out (other than for medical visits). What a great way to re-enter the wonderful world out there. A fellow music-lover, sitting next to me, commented on the oft-repeated concern about the “graying of the audiences”. As someone who has covered the performing arts, I’ve heard this again and again for years. I don’t necessarily think the reason audiences are so often “gray” is that younger people are not “interested” in attending. I think their priorities, of necessity, are elsewhere. I certainly would have loved to attend theatre, dance, music and opera performances when I was young, but there were too many obstacles in the way. As a working wife and mother of young children there was the stress of keeping it all together, and the fact that money had to go elsewhere when available. I recall once, determined to see some theatre, I did buy season’s tickets to the Ahmanson Theatre (in Los Angeles) for my husband and myself. Of the five plays, we got to see two. The other three were totally wasted. Two because a child’s unexpected illness popped up at the last minute, too late to even give the tickets away. The third was missed because at the last minute again, I believe my husband felt he had to stay late at the office to catch up on something. I didn’t try again until the children were grown up. I’m trying to make up for it now by attending both “Music in the Morning” and the “Live at the Met” opera film series. Neither requires me going out at night. These are pleasures I truly look forward to, and an additional pleasure has been the making of new and interesting good friends as a result. If you can, give it a try.